___For two challenging internships, we’re looking for enthusiastic and ambitious Academic/ University students. ___Over 28.000 persons visited the Regeneration exhibit at the Dutch Design Week. We’ve received so many positive responses form the audience and it got noticed by various press channels like VPRO, The Creators Project, De Betere Wereld and RTL Live. 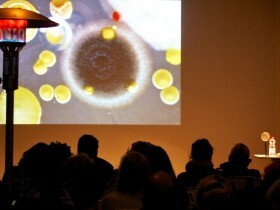 The exhibition continuous in Amsterdam till 28 April and Regeneration - Biotalk days are organized at Mediamatic upcoming period, so stayed tuned. Photos of the Dutch Design Week show can be viewed here. 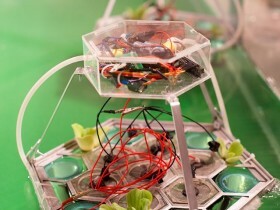 Regeneration explores the possibilities of regenerating our current, man-damaged ecosystems. The exhibition will show a variety of projects by artists and designers who deal with issues involved with this ecological regeneration and, simultaneously, they investigate newly possible resources derived from these regenerated ecosystems. A side program that consists of talks, demonstrations and workshops accompanies the exhibition. 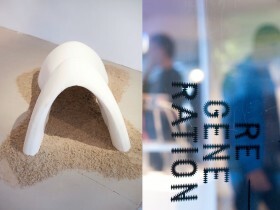 Regeneration opened on Friday 30 September in the Transnatural gallery in Amsterdam and will travel to Eindhoven for the Dutch Design Week in October. ___In spring and summertime, the Amsterdam canals are overflowed with tourists on water bikes. Compared to the many motor-driven boats, the water bikes do not necessarily harm the canals’ ecosystems, but they also do not benefit them. What if there was a way in which these tourists could actively contribute to cleaning the polluted water in the canals? Traditionally, eco-tourism is about conserving the natural environment, traveller responsibility and education, and active community participation. In this neo eco-touristic Waterbike and Hike, participants are not asked to conserve the ‘natural’ habitat but to actively regenerate the ecosystems that have been damaged by mankind. 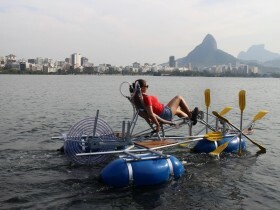 Together with transdisciplinary artist Ivan Henriques, participants will go on a water bike expedition and collect water- and soil samples for further investigation. What can the bacteria from these polluted waters yield? What can be learned from them and how can this be used in new design opportunities? These and other questions will be explored during the adventurous expedition and workshop. 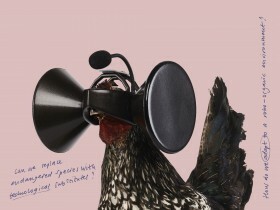 In his work, Ivan Henriques explores the hybrids between nature and (technological) culture. He developed the Caravel, an autonomous, floating mobile robotic structure that harvests and stores energy from Microbial Fuel Cells (MFC) and, simultaneously, cleans polluted water surfaces. Caravel is part of the Regeneration exhibition that runs until 27 April 2017 at Transnatural gallery. More information about Ivan Henriques: ivanhenriques.com Participation & registration If you are interested in joining the Caravel Workshop, please send an email to for further information and registration. Participation fee is 30 Euro (students 20 Euro). Workshopleader: Ivan Henriques Dates: 22 April Location: Transnatural Price: 30 Euro/ participant (students 20 Euro) For enrolment and queries contact: joannette@transnatural.org Join the facebook event. ___The Caravel workshop explores the potential of robotic swarms that autonomously operate in (polluted) water areas, harvest their own energy and purify the water. The workshop is part of the The Regeneration exhibition & runs until the 28th of April 2017 at the Transnatural workspace. The Regeneration – Biotalk and consists of two days and nights full of exciting talks and projects revolving around the topic of restoring and revitalizing our ecology. The first Regeneration – Biotalk day explores the topic of geo-engineering by means of examples from art, design, science and other fields. Workshop ___Participants are invited to join Caravel workshop with artist Ivan Henriques to interact with and reflect upon the topic of merging technology and living systems. After an introduction to the project and an intense brainstorm, participants will go outdoors to hands on explore the possibilities for an energy feed for swarm robotics concepts that can help to operate (and revitalizing the environment for example). The 3-4 hour workshop investigates the topics of self-sufficiency, autonomy, interspecies communication and environmental swarm robotics. Come and join this interactive workshop session that is both hands-on and reflective on the 15th of December or the second workshop in March ! More information about Ivan Henriques: ivanhenriques.com Participation & registration If you are interested in joining the Caravel Workshop, please send an email to for further information and registration. Participation fee is 30 Euro. Workshopleader: Ivan Henriques Dates: Thursday 15 December or 17 March Location: t.b.a Price: 25 Euro/ participant For enrolment and queries contact: joannette@transnatural.org Join the facebook event. 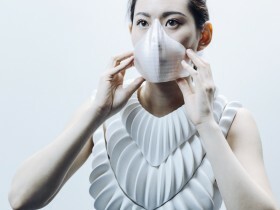 ___ Playing Life – Biotalk is a new collaboration between Transnatural and Mediamatic with two nights full of exciting projects using biotechnological tools in art, design and fashion. The Playing Life – Biotalk nights explore the emerging field of creating and working with living materials as a medium for the development of innovative projects. New experiments in the creation process of objects and materials are leading with talks, performance and demo’s.